In the eighth and final book in the Hello Little Owl series, Little Owl finds out that she is about to become a big sister! This news surprises and confuses Little Owl, leaving her with feelings she’s never had, so she seeks advice from her forest friends! 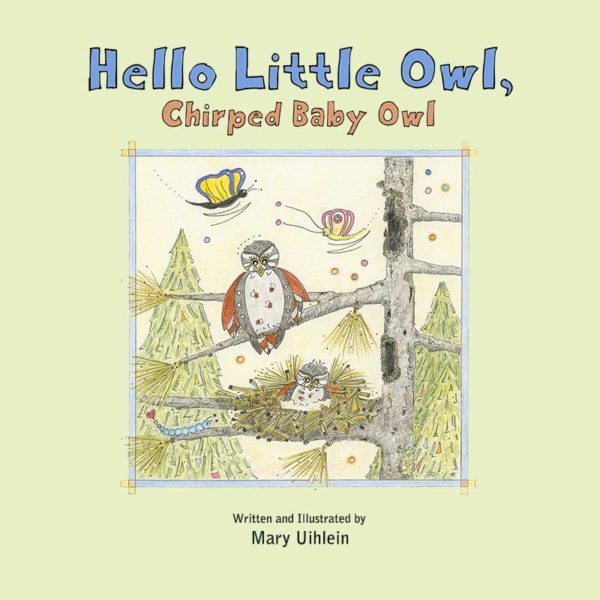 Hello Little Owl, Chirped Baby Owl is about special life events, understanding, acceptance, family pride and love! This is a story you will want to read with your child and enjoy many times. Each page of the book is beautifully illustrated by the author Mary Uihlein’s whimsical color pencil artwork. Each illustration adds detail to the story while stimulating the imagination. The book is available in an illustrated hardcover with matching dust jacket, and an Amazon Kindle version. The audiobook will be released soon! The audiobook brings the characters to life in their own voices and makes a great accompaniment to both the printed hardcover and the Amazon Kindle versions. There’s nothing like reading with your children, but for those times, when they want to hear the story again and again…and again, they can listen in as The World of Hello Little Owl comes to life on their favorite electronic device.